The gunman in a deadly shooting rampage at a historically black church in Charleston, S.C., has been captured by the police. Dylann Storm Roof, 21, was arrested during a traffic stop in Shelby, N.C., as reported by Reuters, 14 hours after Roof walked into Emanuel African Methodist Episcopal Church at opened fire on the congregants during the prayer meeting on June 17. Greg Mullen, Charleston Police Chief, said Roof is cooperating with authorities. The FBI is investigating the church shooting as a hate crime. The Associated Press reports Roof attended the meeting and stayed approximately an hour before the shooting, said Greg Mullen, Charleston Police Chief. 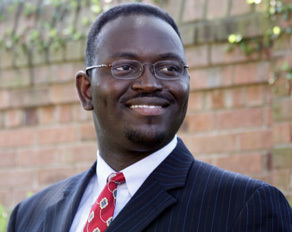 Of the dead is the church’s pastor, state Sen. Clementa Pinckney, 41, D-Columbia. The married father of two was elected to his seat at 23. Mullen said the names of the victims will be released once their families have been notified. Immediately following the shooting, pastors and citizens held a prayer vigil outside Emanuel AME. Morris Brown AME Church in Charleston hosted a community prayer service in remembrance on June 18. The Emanuel AME church traces its roots back to 1816, when several congregations split from Charleston’s Methodist Episcopal Church. Historical records show one of the church’s founders, Denmark Vesey, tried to organize a slave revolt in 1822. Vesey was caught and white landowners burned his church in revenge. Its congregants also played a part in the Civil Rights Movement of the 1960s. In the wee hours of June 17, The King Center tweeted an undated photo of Dr. Martin Luther King Jr. worshiping at the historic church.